St. Ronan's Wells is a vital part of the heritage of Innerleithen. Many of the town's traditions derive from its existence and its historical and amenity value to residents and visitors alike cannot be overstated. 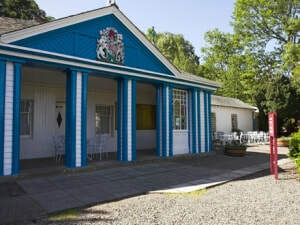 The former spa was sold for a nominal fee in 1966 to Innerleithen Town Council and today Scottish Borders Council is responsible for its maintenance. 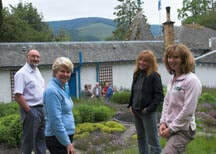 It functions primarily as a visitor centre managed by the curator and staff of Tweeddale Museums and is an important venue for part of the annual Cleikum Ceremonies. Formed in June 2003, St. Ronan’s Wells Support Group comprises Innerleithen folk with an interest in both the history and the future of St. Ronan’s Wells. While it is the duty of SBC to look after the Wells, it was felt that, because of the number of properties in their care coupled with financial and time restraints, development and improvement of the facility was likely to proceed slowly, if at all. An independent locally based volunteer body would, however, be able to raise funds from charitable sources for improvements to the Wells and provide a better amenity both for visitors and the people of the community. Since its inception, the Wells Group has run small fund raising events and has been the recipient of two grants from Awards for All. The first allowed a feasibility study to be carried out on how best to develop the Wells as a visitor attraction and a facility for the community. The second grant was used to make accurate costings for some of the proposals, providing an essential document required when applying for capital spending on the Wells. 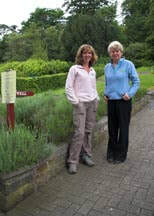 In 2007 the Group worked in conjunction with Museum staff to entice the Beechgrove Garden to give the garden a highly successful makeover, and Group members also continued to work in the garden through the wet summer of 2008. Make Sure Your Heritage Has A Future - Join Now!